Mr. Longcor brings to Cellectar Biosciences, Inc. more than 20 years of pharmaceutical and biotech experience and was previously the Chief Business Officer for Avillion LLP. 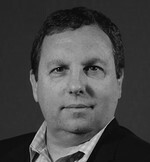 In this role, he was responsible for executing the company’s unique co-development partnership strategy. 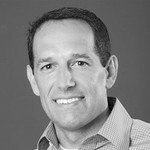 Prior to Avillion, Jarrod was the Vice President of Corporate Development for Rib-X Pharmaceuticals, Inc. (now Melinta Therapeutics) where he was responsible for identifying and concluding several critical collaborations for the company, including a major discovery collaboration with Sanofi Aventis valued over $700M. Prior to Rib-X, Mr. Longcor has held key positions in several small to midsized biotech companies where he was responsible for business development, strategic planning and operations. Jarrod holds a Bachelor of Science degree from Dickinson College, a Master of Science from Boston University School of Medicine and a Master of Business Administration from Saint Joseph’s University’s Haub School of Business. Mr. Bernhardt previously served two publicly traded life science companies as their Chief Financial Officer in Echo Therapeutics, Inc. in 2014 and Hemispherx Biopharma, Inc. from 2009 to 2013. From 2015 to 2016, he served as Chief Financial Officer and Treasurer to Active Day & Senior Care Centers of America through their recapitalization to new Private Equity ownership. Since 2016, Mr. Bernhardt has independently served various privately owned life science and health care companies as their interim Chief Financial Officer. 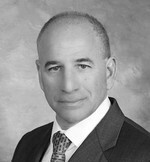 Mr. Bernhardt is a Certified Public Accountant in New Jersey and Pennsylvania achieved while working at KPMG. He earned his Bachelors’ Degree in Accountancy at Villanova University and MBA at West Chester University while serving as a Controller for Comcast Cable Communications.